Heart PlateTM SMART is going to become a game changer! 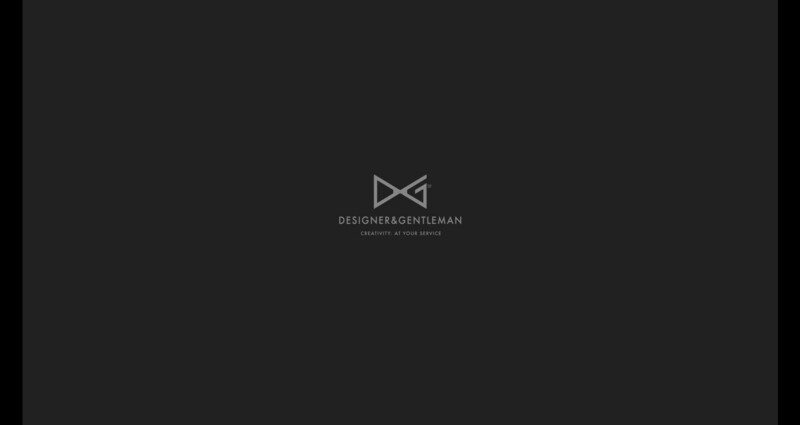 Smart will become the crucial aspect in product design. Everything will be connected in one way or another. Though analyzing the data and understanding the constellation between the pieces of data, people are going to enter into a new lifestyle era. We already drive smart vehicles, use smartphones, live in smart buildings, and more and more products are becoming smart. My product follows this trend to help society. 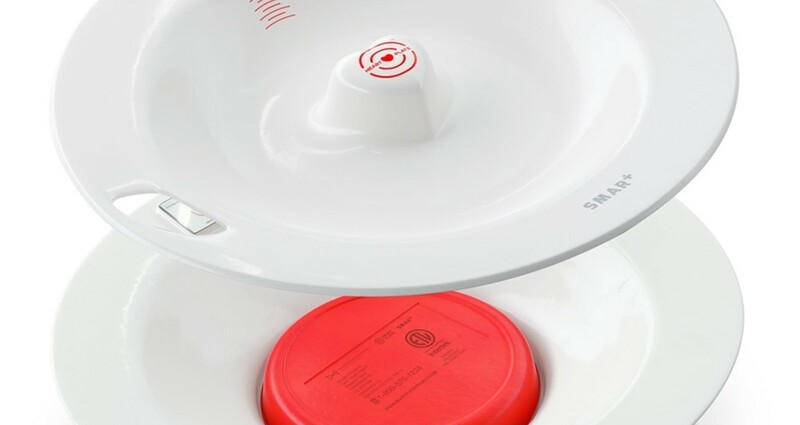 Heart Plate is the United States Patented Approved concept product. How Does The Heart Plate Work? 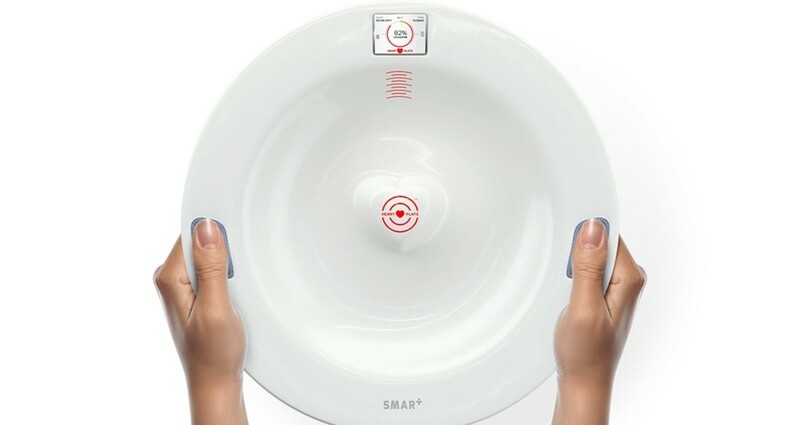 You press the Body Mass Index Pads that are on both sides of the plate with your thumbs. 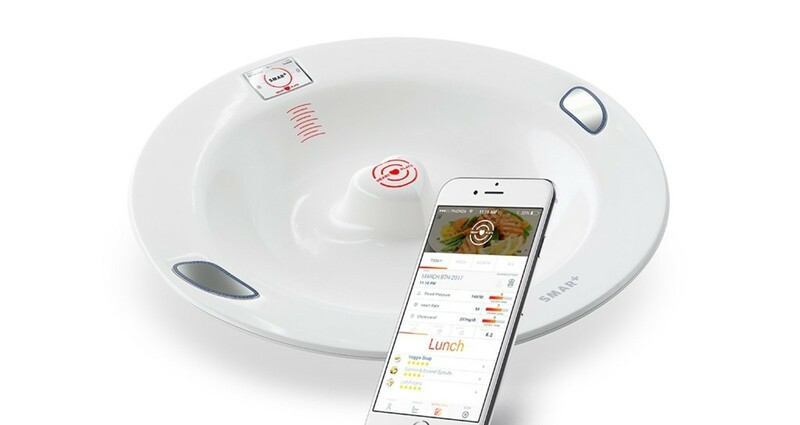 After a matter of just a few seconds, you will be able to see the data on the screen on the front-top side of the plate and also on your cell phone, since the Heart Plate can connect with your phone via Bluetooth. In addition, when used with this app, Heart PlateTM Smart can be connected with a third party such as your clinic, your personal doctor, trainer, nurse etc. That’s not all! Heart Plate SMART contains the temperature-measuring device so as the weight measurement, heart rate, and cholesterol measurement. For example, if a person of 35 years of age uses Heart Plate before breakfast they might see the following data: Heart Rate 95, Blood Pressure 145 by 90, Cholesterol above 240. 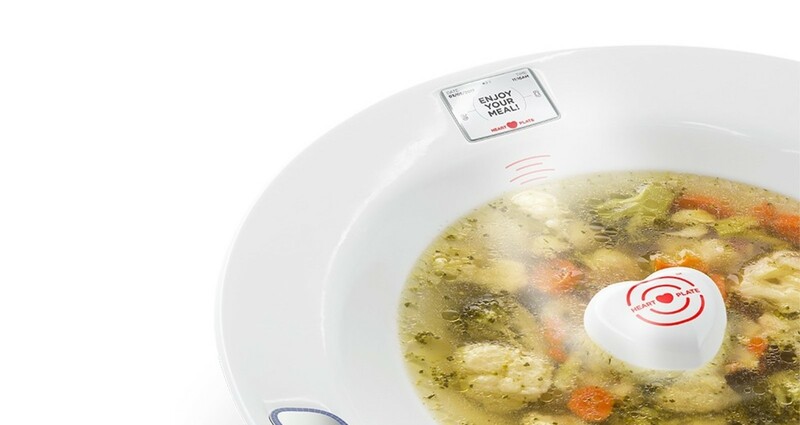 Heart Plate can then present the options on its screen or via the user’s phone regarding possible eating solutions for breakfast. Data can be transferred to a third party (doctor, nurse etc) so they can track the history of the user’s body condition. 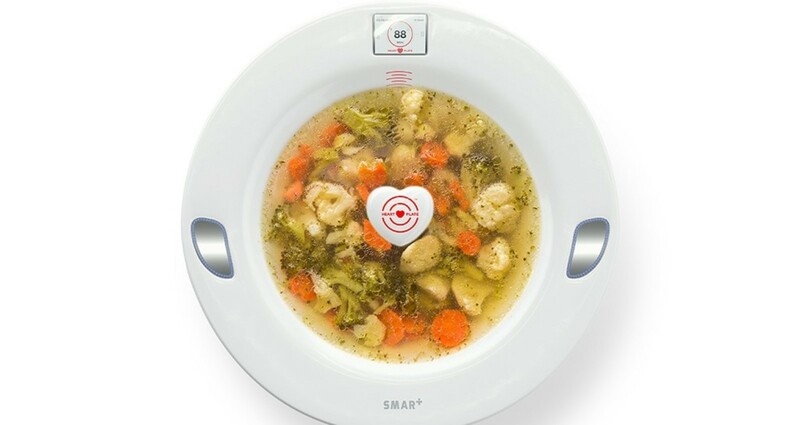 All components are hidden in the lower are of the plate while upper area can be easily removed, and washer after the meal without any concern about physical damage or water damage of the electronic component. 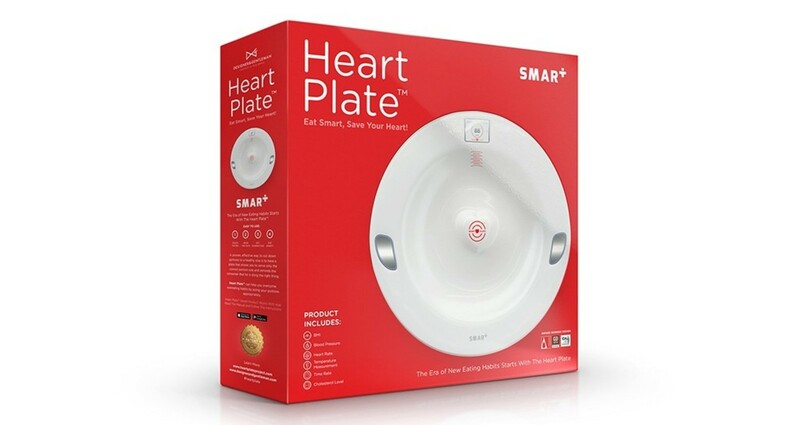 Heart PlateTM SMART was designed for all people who want to have more control in eating habits. 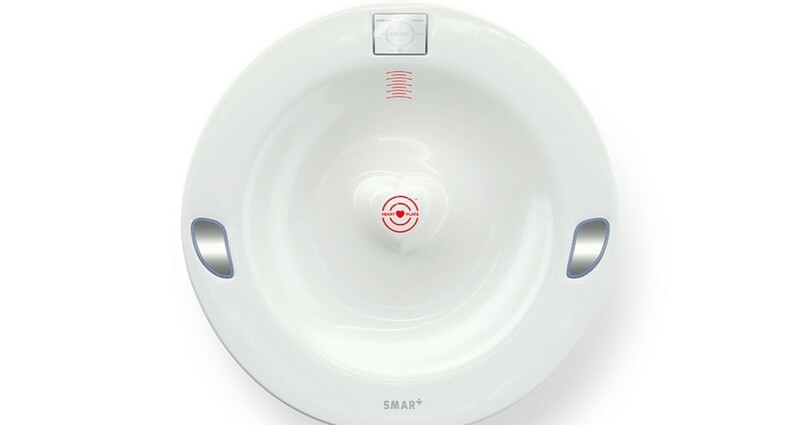 Finally HeartTM Plate SMART can be useful for the medical facilities, hospitals, nursing homes, geriatric centers, sports centers, recreational centers, rehabilitation centers, civil homes and many more!